Mother's Day gift!!! 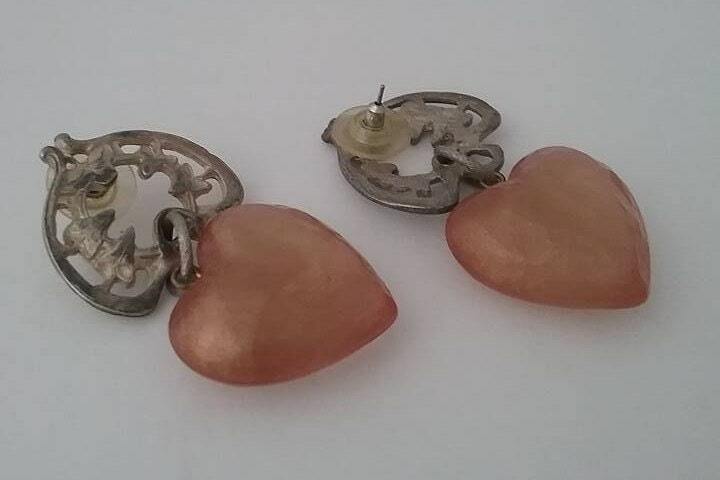 Stunning light pink Lucite hearts hang from an antiqued silver tone filigree heart. 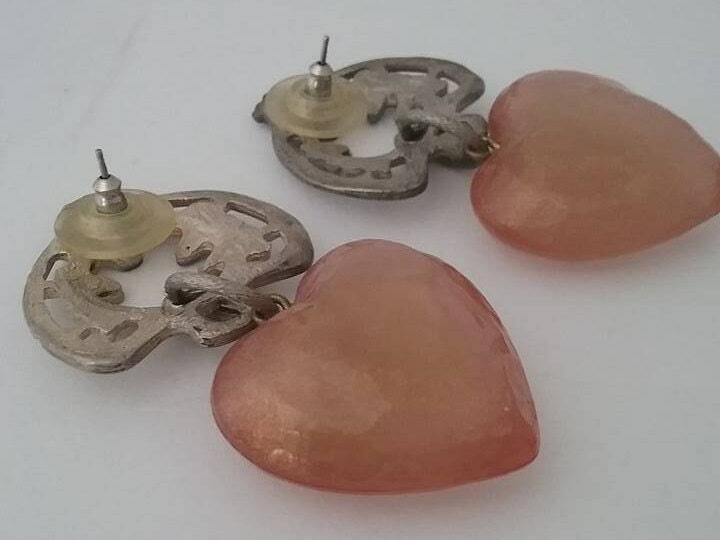 Pierced with round backings. 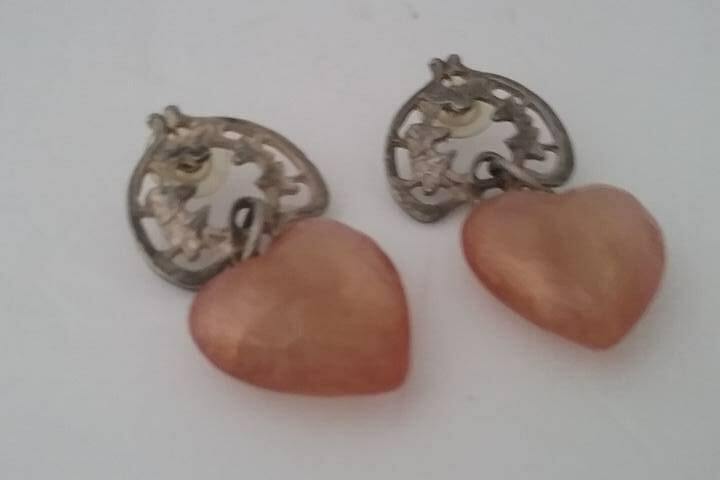 The earrings are beautifully made and looked antiqued. They will be a conversation piece, and enhance the beauty of your appearance. Very unique. Excellent vintage condition. As with all vintage items you may find slight or minor imperfections that should be considered and embraced as part of the aging process. 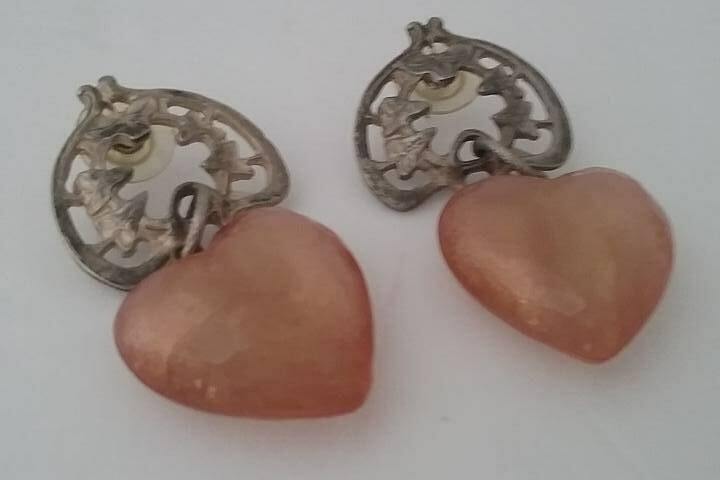 These contribute to the uniqueness and beauty of your item and are simply part of the character of the individual piece.